At a rally in Florida today, after a woman who had previously passed out regained consciousness, Donald Trump decided to take the opportunity to opine briefly about these so-called “concussions” we keep hearing about. Trump Endorses Brain Damage In Speech That Claims Football, Like America, Has Gone "Soft"
That woman was out cold, and now she’s coming back. We don’t go by these new, and very much softer, NFL rules. Concussions—oh, oh! Got a little ding on the head. No, no, you can’t play for the rest of the season. Our people are tough. Does Donald Trump think concussions are simply a myth created by the Chinese to boost their concussion-centric economy? Maybe. Who can say for sure? We’re just asking questions. Anyway, I wonder what Donald Trump could possibly have against the NFL. 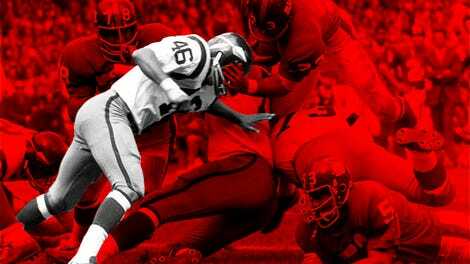 What&apos;s Actually New About The NFL&apos;s New Concussion Policy?